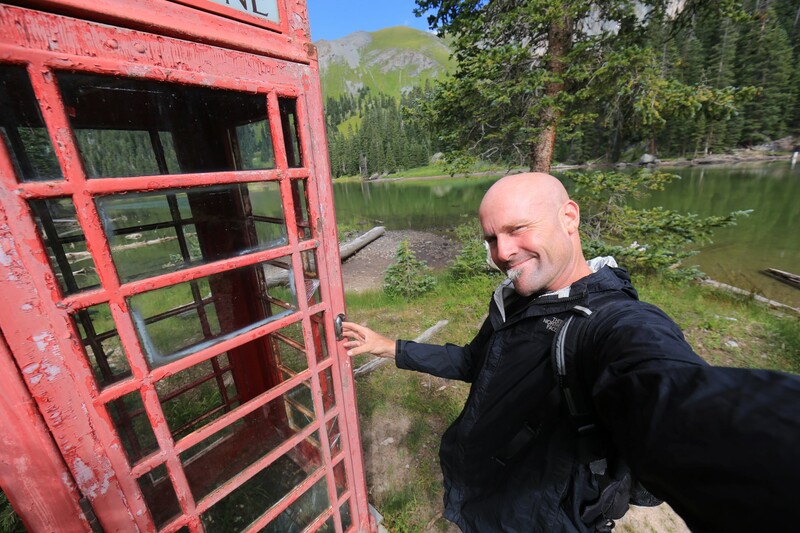 A lot of people have asked how I plan things when I travel and the answer to that is frequently “Not very much at all”. Take for instance how I just wrapped up a few absolutely amazing days with the family of one of my most long time friends of my adult life in Telluride Colorado. Moral of this fabulous story – sometimes it’s just best to wing it and see what happens. 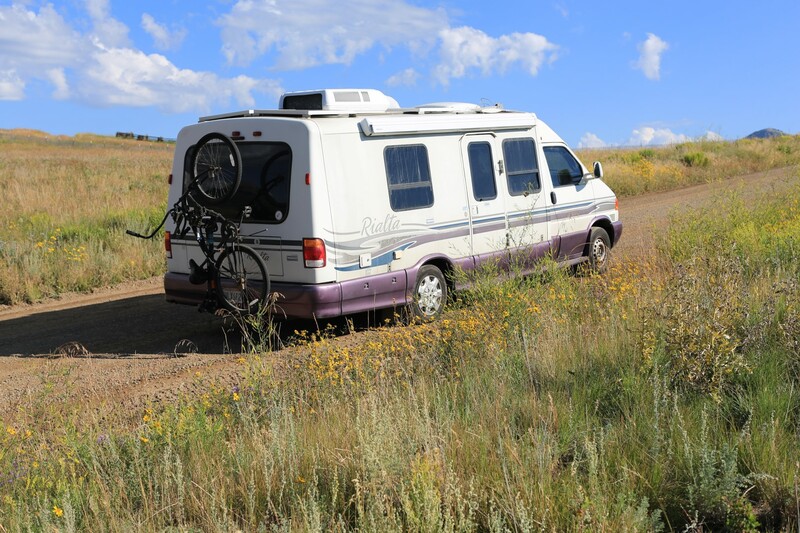 So, if you read the last post I was in Arches National Park and Canyonlands National Park. What was initially planned to be a single night was quickly evolving into several days. 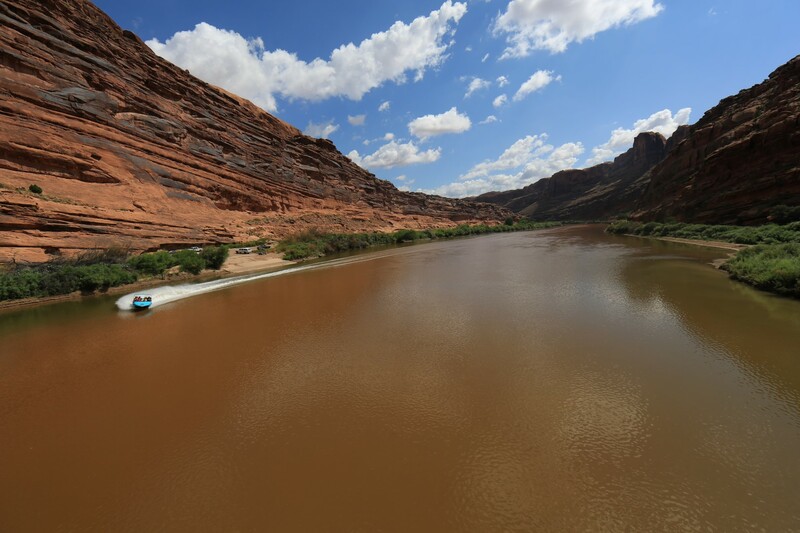 I took a bike ride on a gorgeous bike path that runs along the Colorado river just outside of Moab, Utah where I was staying and I happened to be there when a jet boat was sliding into the end of a trip. Watching the boat from the bridge – had to do it! I was on the bridge where the photographer was shooting the trip for the clients and I thought “That looks too fun, I need to do that”. I asked the photog and she told me that there was a 3 hour sunset trip that was really gorgeous leaving that night. Sold. Guess I was staying in Moab for one more night. 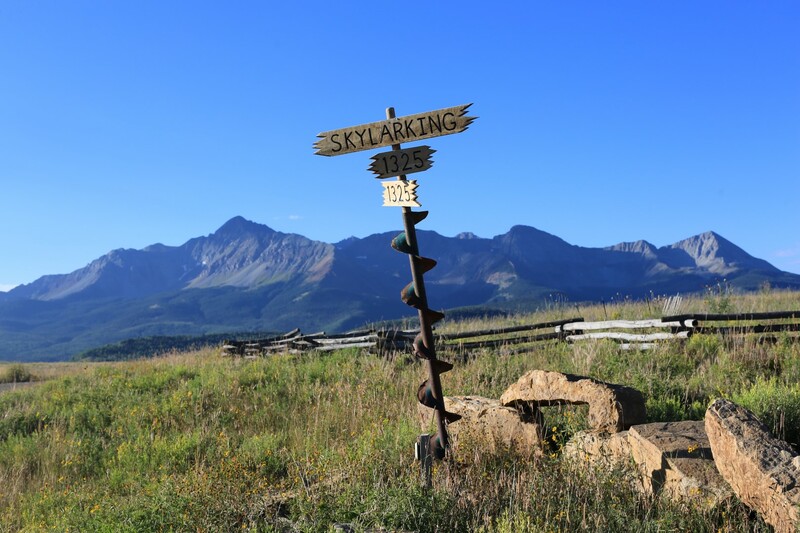 Anyhow, the guides/drivers were super cool and fun and I was talking with one of them and he said “Wow, if you don’t have exact plans you have to go to Telluride from here – it’s only 2 1/2 hours away”. I was totally unaware. Our country is so damn big and I really hadn’t placed Moab properly on the map. My dear friend Julie who I met when I moved to San Diego in 1989 and became great friends with had moved there years ago and has always told me about how glorious it is. In fact I had scheduled a trip in 2001 but then I tore my ankle up. I simply had to go if I was only 2.5 hours away. A quick Facebook message and confirmation – her family was in fact in town and would in fact love to visit with me. Spur of the moment, zero planning and zero idea of quite how breathtaking and amazing it was going to be. Julie, her husband Nico and her two children live in the most majestic location I have ever been in a house of any person that I know or have even visited. The view from Julie’s home looks like something from a movie. In fact, it’s going to be in a movie. As it it turns out last winter Quentin Tarrantino spent 4 months with his film crew shooting his upcoming movie in her … I don’t know if you can call it a ‘neighborhood’ – that’s not a word to equate with what this place looks like. 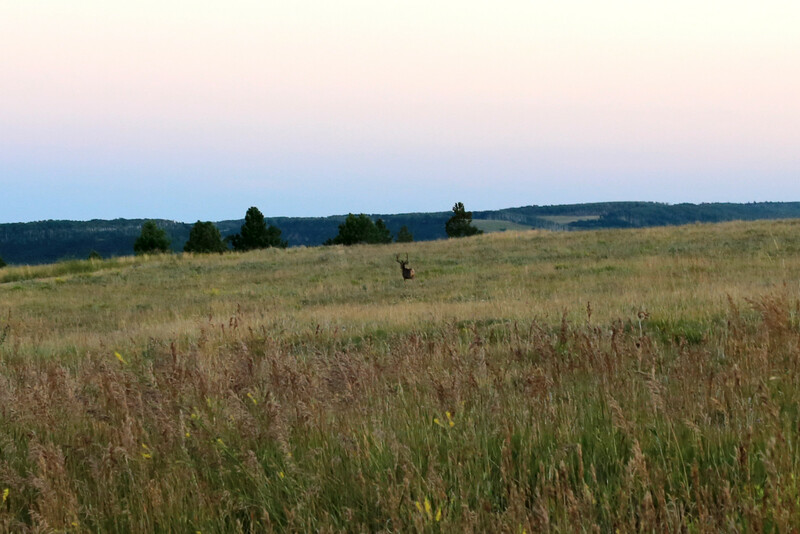 Here are a few photos of views from thier front yard. In case those mountains look familiar, yes, they are the ones on the Coors can (this is about the least fantastic fact about the entire place … or … maybe you … um … love Coors. Maybe I won’t touch that one ….). 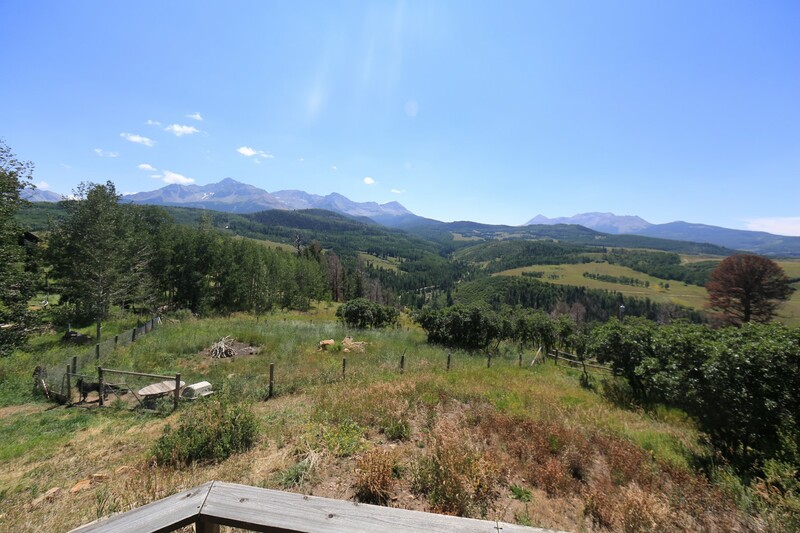 Now, I will say this, if you visit Telluride you probably won’t get the experience I did because so much about where I was with Julie and her family was really on more or less private land. In theory you can drive on the gravel roads that access their house and these epic views from the pictures but most likley you wouldn’t have any reason or chance to get to them. 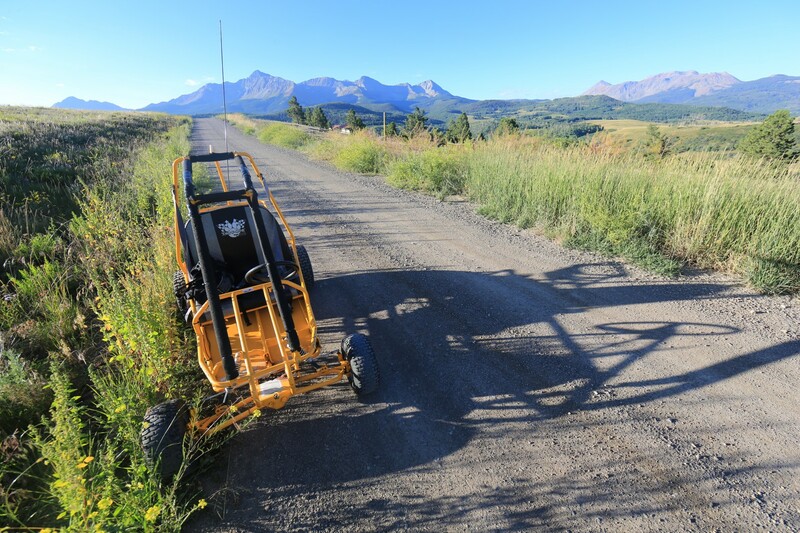 It is slightly misleading to show you these pictures because not all of Telluride is exactly like this. …. did I really get to do that? Pinch. Too much fun and just too pretty. 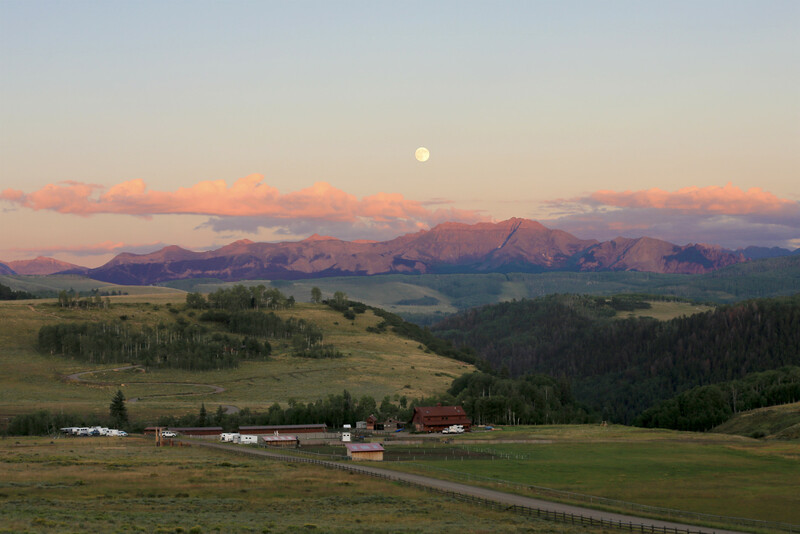 I know that there was a really special magic that it happened to be a full moon when I arrived and we happened to be returning to the “Damn Nice Ranch” just as it was rising out from behind the sunset colored peaks in our full field of view …..
It’s beautiful but I guess it’s totally invasive! BUT! Don’t despair! 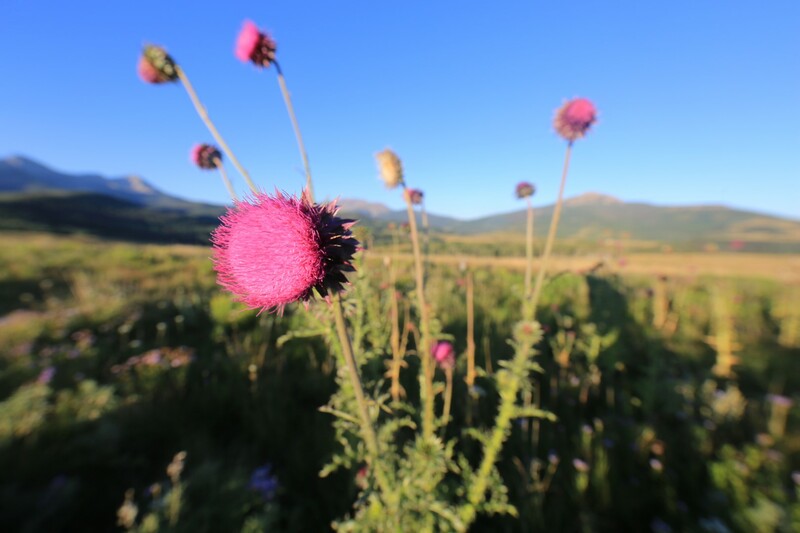 The standard board and fare of Telluride is probably 90% as magical as what I was able to experience so in telling you I am telling you that you can go too! Let me say first, in all of my years of snowboarding in the west I never went to Telluride because it’s for certain and admittedly not easy to get to. It’s probably one of the least direct access ski resorts that you can find in the continental United States. The local airport is really only for private jets and then nearest true commercial airport is still a couple of hours away by car and that airport is still not a direct flight from anywhere so you will stop in Denver but by car it’s 6 hours from Denver. What’s a person to do? It’s a definite day of traveling in each direction for just about anyone. 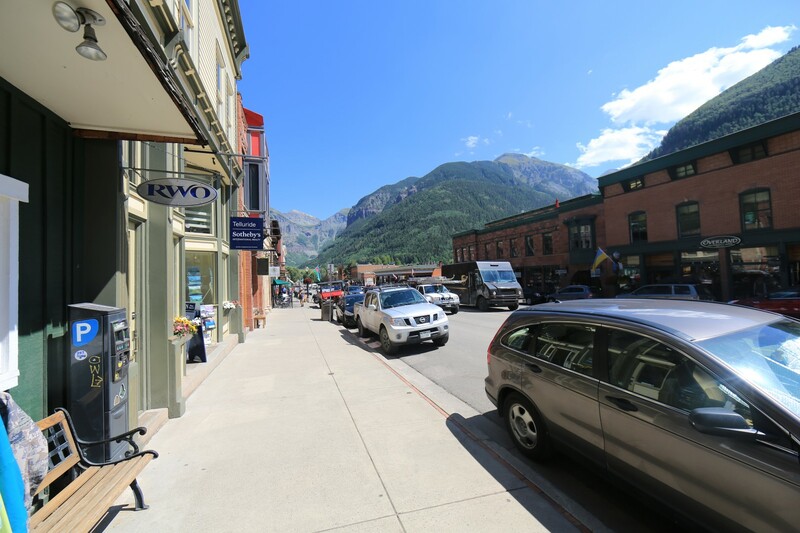 Telluride town – right nestled in a canyon with views galore. With that said – the “two extra day question …. is it worth it??? ?” and my answer is this – “It depends on what you are looking for”. 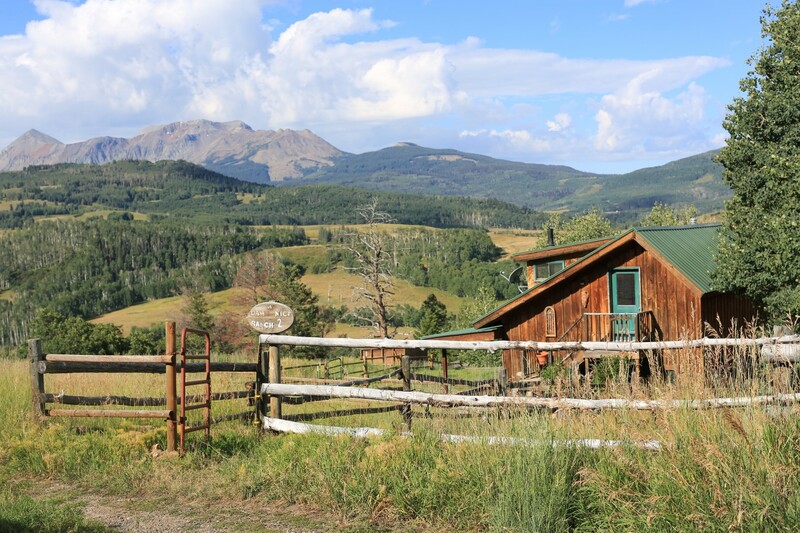 Back to my evaluation of the “normal” (not being on the glorious private ranch) Telluride experience. Telluride is without question the most majestic mountain ski area that I have seen in the United States. 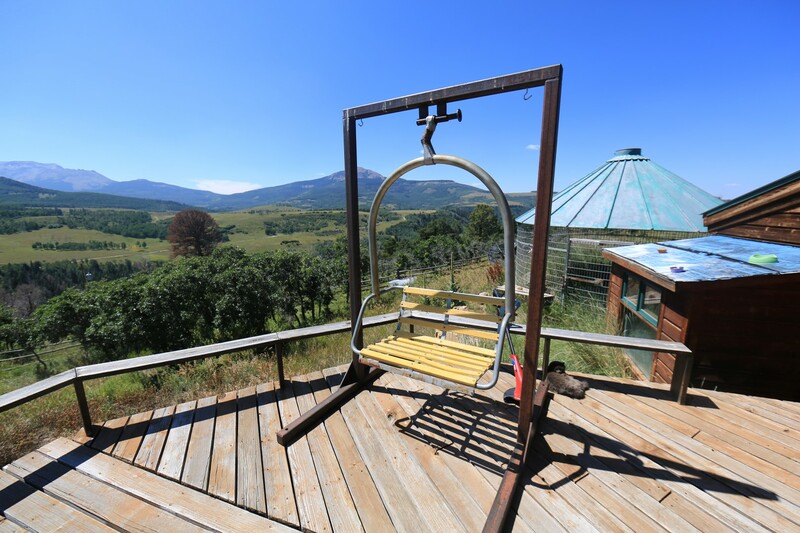 I have been to just about every resort in Utah and California and I have been to a great number of places in Colorado as well as Taos in New Mexico. The beauty of the mountain at Telluride as viewed from any of the areas where the hotels or condos surpasses the beauty of any mountain and mountain town that I have been to. Without question. In addition, the information given to me by Julie (since I was there in the summer) is that there simply are no lift lines. The expanse of the mountain is massive and the remote nature of the mountain keep the crowds almost non-existant. On the busiest of busy times, the busiest life apparently has a maximum 10 minutes lift line. The town itself is a beautifully preserved historical western town where which looks a lot like a western movie set of a town. I didn’t get a chance to take too many pictures of it but just let your imagination go with the image of a sheriff walking down the middle of a set of western buildings and you have it. But now the buildings are cute shops, some tasty restaurants and the likes of this. Quaint, western, but modern. Here’s the verdict on this one. I’m incredibly glad I made it here and if I had known just how special it is I would have made a lot more effort to have made it here before and I hope to be back as well. 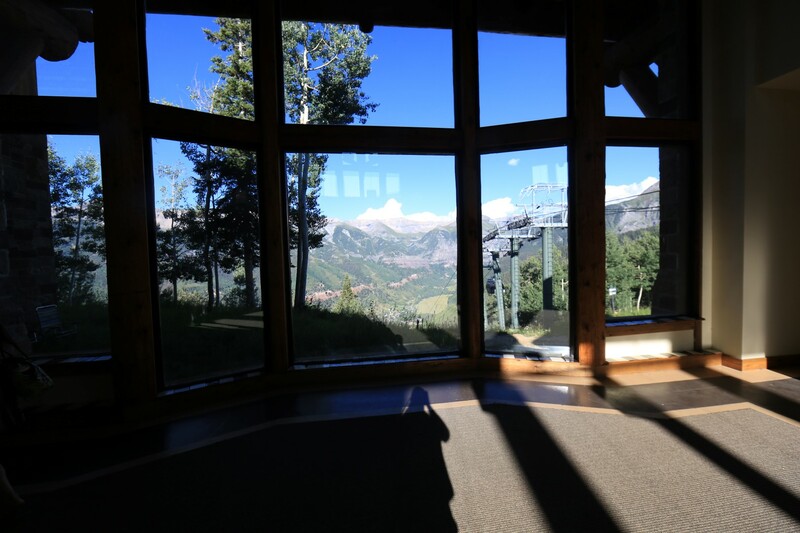 There are a ton of places you can go to a mountain resort but this one is pretty spectacular. We wish we could back to Colorado to visit. It was so beautiful it did not look real. Great photos and descriptions. Thank you for sharing. Thanks for the compliments and thanks for visiting! Yes, Colorado definitely does look fake!!! ← Utah. Road Trip. Epic. Do It. Too Close Not To.